BLACK FRAME. Design allows you to view both the front and the back of the postcards. GOLD FRAME. Design allows you to view both the front and the back of the postcards. SILVER FRAME. Design allows you to view both the front and the back of the postcards. Displays comics, magazines, programs, sheet music, documents, newsletters, playbills, artwork and other similarly-sized collectibles. 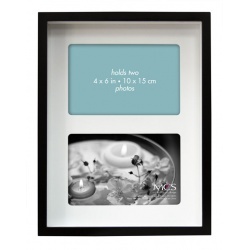 Images smaller than the frame size float between two clear sheets of glass for a dramatic effect. 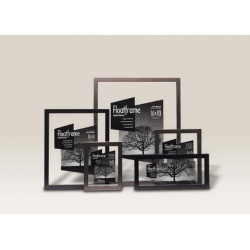 Perfect for framing flat items. Walnut finish. 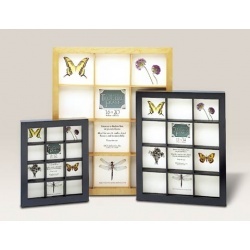 Shadow box frame showcases many types of collectibles, such as postcards, patches, insects, flowers, etc. 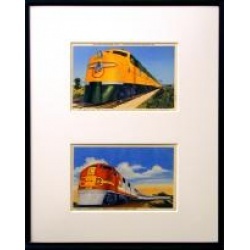 Frame your postcards as art in our metal frames! Easy to change your display as often as you'd like! 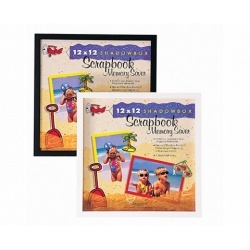 Postcard Frame Kit includes: Metal frame, plexiglass, matting, postcard sleeves, corner retaining clips and wall hanger. 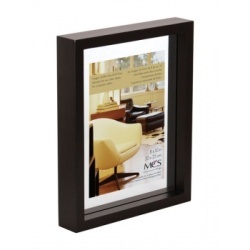 Viewable space: 10-1/2" x 13-1/2"
Overall size: 11" x 14"
Frame your collectibles with our wood float frames! 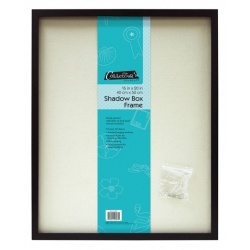 Perfect for framing flat items such as postcards, photos, first day covers, tickets, trading cards, gaming cards, currency, seed packets, carte de vistes, tobacco cards, vintage valentines, magazine ads, sheet music, stock certificates, etc. Beautiful wood elegance - images smaller than the frame size float between two clear sheets of glass for a dramatic effect. Frame Sizes: 8-1/2" x 16-1/2"
Frame Sizes: 11" x 14"
Frame Sizes: 16" x 20"
Frame your smaller collectibles with our Slide Wood Float Frames! 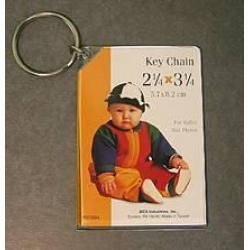 Perfect for framing flat items such as postcards, photos, first day covers, tickets, trading cards, gaming cards, currency, seed packets, carte de vistes, tobacco cards, vintage valentines, etc. 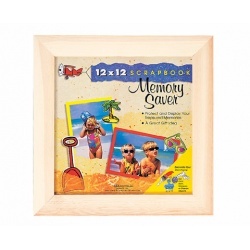 "Memory Saver" frame allows you to display a favorite 12x12 scrapbook page in a frame that you decorate yourself! 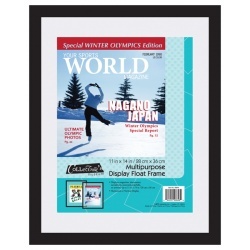 Front Opening (what is viewable): 11-5/8" x 11-5/8"
Back Opening (how big an item the frame can hold): 12-1/16" x 12-1/16"
Outside Dimensions: 15-1/8" x 15-1/8"
12x12 "Memory Saver" shadow box frame allows you to display your treasures on a wall or tabletop! Outside: 11-5/16" x 15-5/16" x 1-15/16"
Inside: 11-1/2" x 14-1/2" x 1-1/4"